The Colonial Inn is located 13 miles south of Fresno on Highway 99. We are walking distance to Kaiser Permanente Medical Office, and 2 miles from the Selma Airport. Sequoia National Park is 44 miles. 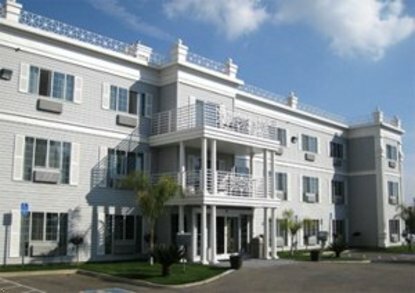 With beautifully landscaped grounds, the charming hotel features a Federalist designed interior and exterior. A full array of amenities at competitive prices provides exceptional value. All guest rooms feature free continental breakfast, free high speed internet access, cable TV with 2 HBO channels and ESPN, iron/ironing boards, coffee/tea maker, hairdryer, refrigerator and microwave.